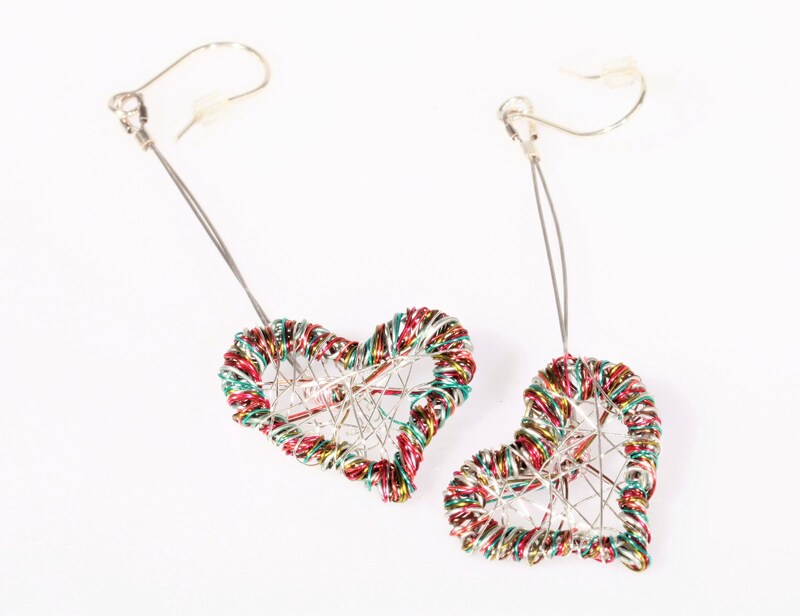 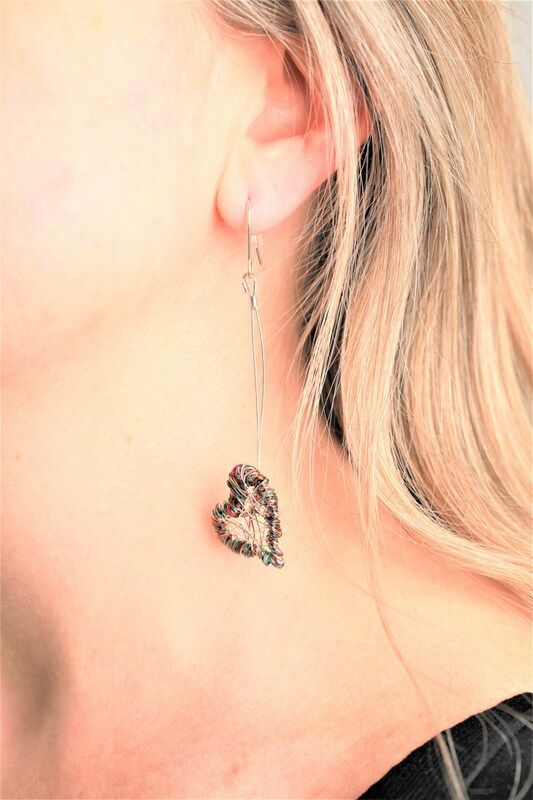 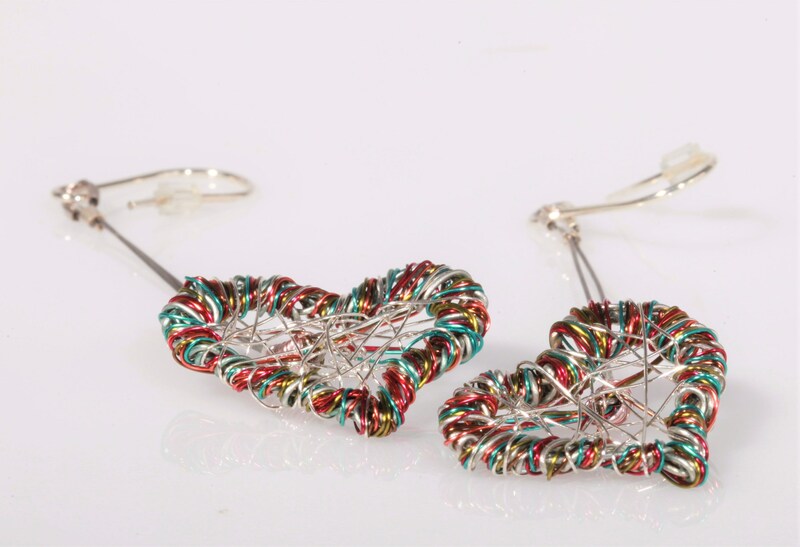 Heart earrings dangle, silver red, rainbow, handmade of colored copper wire and silver. 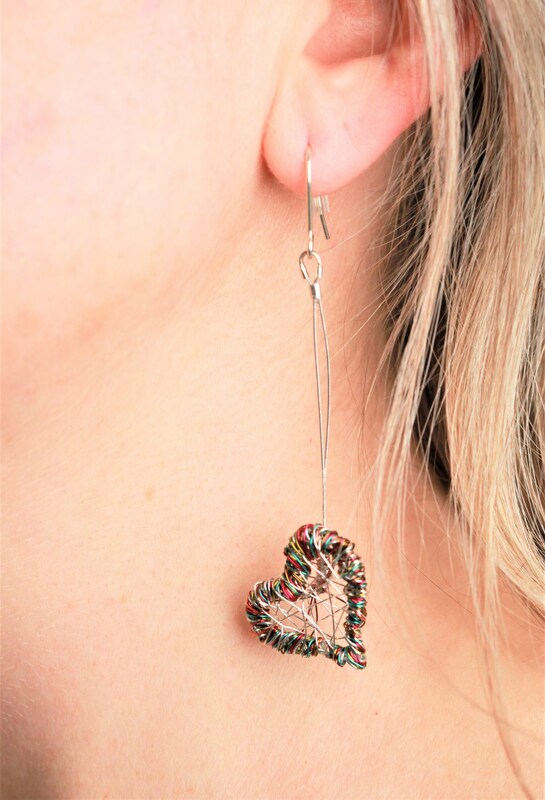 Height and width, of the long, modern hippie jewelry, is 2.5cm (0.98in). 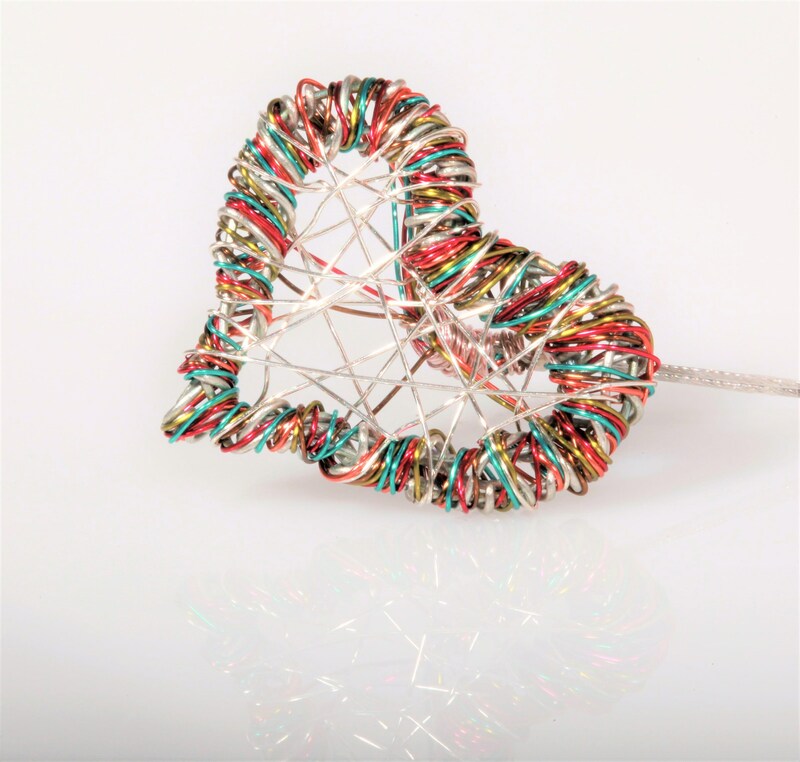 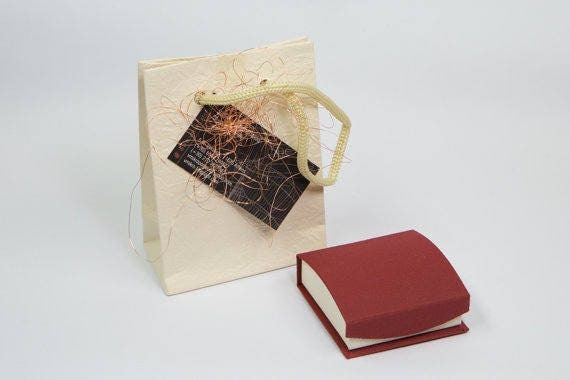 Clips from which standing the wire hearts is solid silver and steel wire. 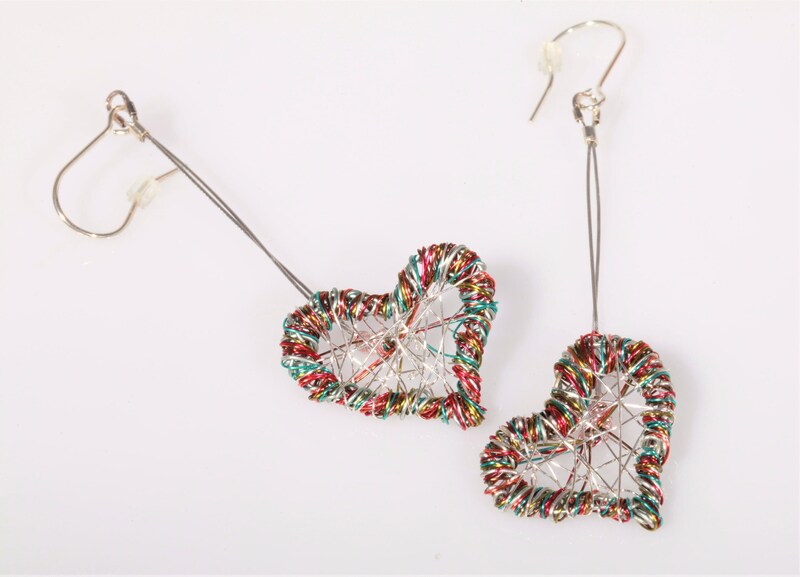 The total height of the unusual earrings is 6cm (2.36in).